The Spring 2015 newsletter from Independent Community Solidarity Councillor Brendan Young. It covers Water Charges as well as some local issues. It also announces that he intends standing in the next General Election. 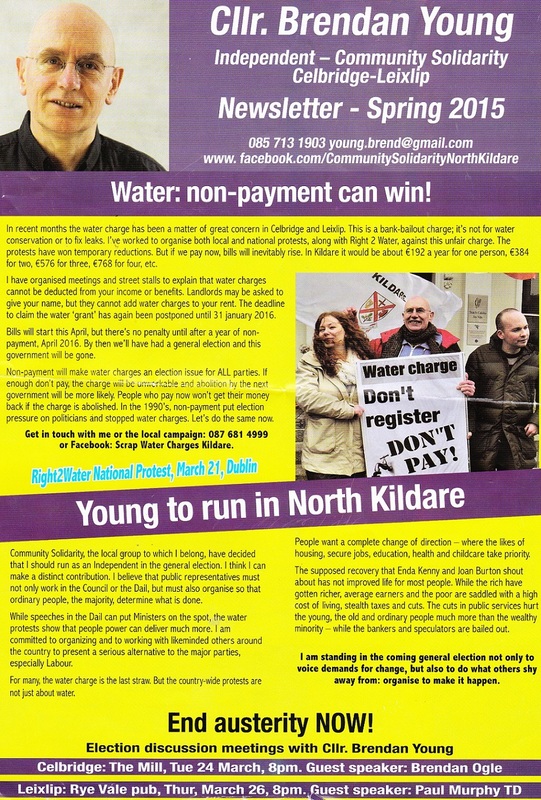 A leaflet from Brendan Young who is running for the ‘Community Solidarity’ group in Celbridge/Leixlip in the 2014 Local Elections.